According to http://www.colordarcy.com, investing in Atlanta property will generate a better return on investment than money in the bank. When I discovered that most standard savings accounts were paying out little more than 0.93% in interest – and this was with major high street banks – I realised what a great investment property is in comparison. With monetary value increasingly being eroded by quantitative easing and inflation, investing in property is increasingly being seen as a safer alternative to money in the bank say Colordarcy Investment. On a cautionary note, these kinds of returns are not available when investing in just any property, the best strategy is to find property that will not just pay for itself, but generate a strong and growing income on the initial investment. Not all property markets provide these kinds of opportunities and many investors can get caught out by investing in a falling market, or one with a lack of tenant demand. The city of Atlanta in the US has no such problem. The city has the number one rental market in the USA and the fourth most affordable. Being the number one rental market means investors can expect 14% net rental yields and being the most affordable means they rock bottom prices according to http://www.colordarcy.com. Compare this to money in the bank and that 0.98% return is beginning to look even less attractive compared to achievable 14% yields. Factor in property price rises of 6% per annum and growing rents and investing in Atlanta property provides a much broader return investment. 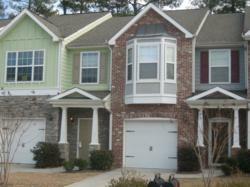 A £40,000 entry level in the Atlanta market needn’t break the bank either.